Woodslee was one of a large number of Victorian Houses ( ” Villas” ) built around Bromborough when the coming of the railway ( opened 1840 ) made travel to Liverpool easy for people who wanted to live in country surroundings. Apart from the walled garden, there was a rock garden (Now part of Sunlight Glade opposite the Rangers Office). There were also well looked after lawns on the north and west of the house (located where the wildflower meadow is). The lawn to the west was bordered by a row of Yew trees. Specimen trees bordered the drive, including Holm Oaks and Red Horse Chestnuts, and Monkey Puzzle trees. The land on which Woodslee was built originally formed part of the Mainwaring Estate. 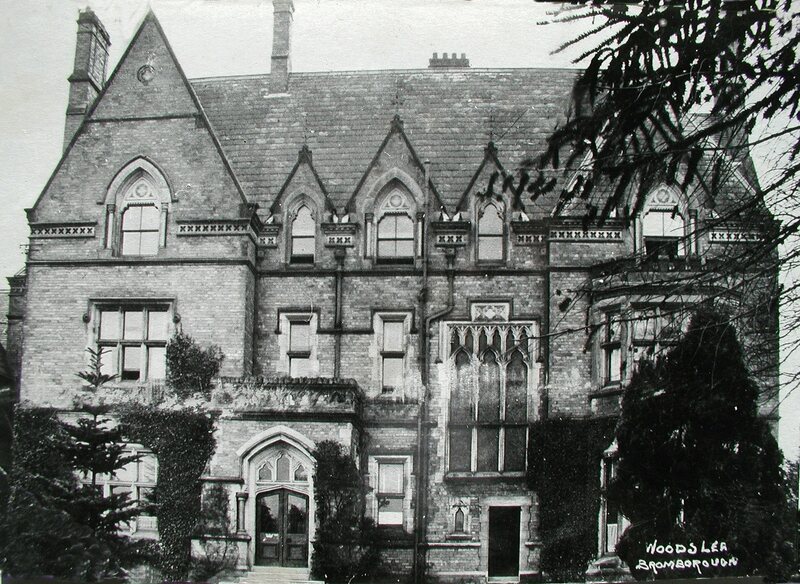 The house was built in 1869 as a wedding gift from the bride’s parents when David McIver married Annie Rankin of Bromborough Hall. (The hall once stood where Matalan now stands) The wedding in took place on July 1st 1863. Local directories show that by 1869 Woodslee was inhabited by the MacIver family. The MacIvers were originally from theIsland ofLewis in theOuter Hebrides. They took a leading part in the development of regular steamship services across the Atlantic and in the formation of the Cunard Line. Tragically, Mrs MacIver was drowned while bathing off Beaumaris on August 24th 1869, so she had not very long in which to enjoy her new house. She left two sons and a daughter. In 1919 Woodslee was for sale. Sir Edward Brotherton came to Bromborough to found his chemical business at a factory on theMersey. He needed houses for his key workers who had moved fromWakefieldto the new factory so he bought Woodslee house and grounds. He turned the house into six flats. He also converted Woodslee Cottages houses. Sir Edward was a considerate employer and provided Sports Club for his employees with cricket in the summer as well as tennis, bowls and football. 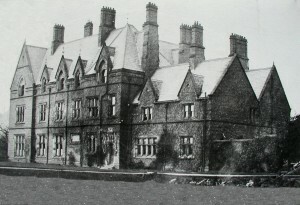 The bowling green was near the present car park off Spital Road. Two hard tennis courts were built on what is known as Woodlsee Field. A grass tennis court was beside the house with the rock garden beyond . It was during this time that Sir Harold Wilson, once Labour Prime Minister, lived as a boy in one of the Woodslee flats. All these sporting activities ceased with the outbreak of war in 1939 when the army took over the house and grounds. The people who lived in the house had to leave, although the people in the lodge and cottages were not affected. 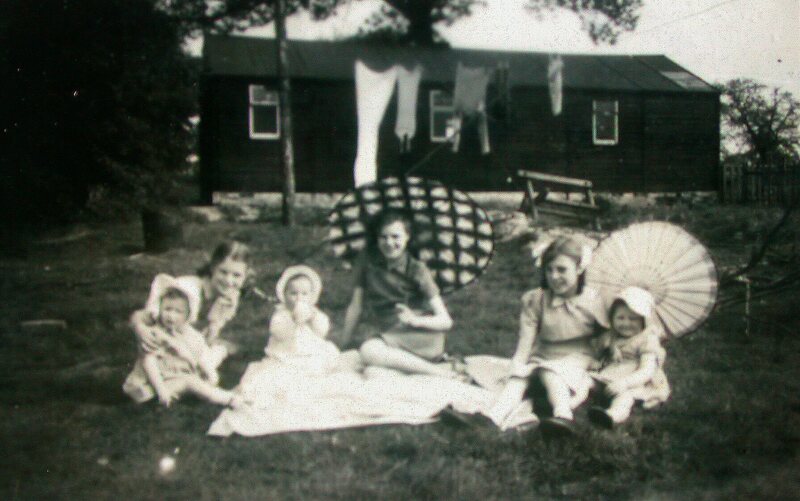 The years of the Second World War saw Woodslee changed into an army camp. There were ten army huts, a cook house, and a toilet block. The parade ground is now the car park. Both British and American forces were stationed at Woodslee and later some Italian and German prisoners of war also. When the army gave up Woodslee the house stood empty. Lord Brotherton no longer needed either house or land. He generously gave it all to the local council for an open space for people to enjoy. Based on extracts from ‘Stray Notes’ by Nora Macmillan and Dorothy Fuller. Dot Fuller and her family lived at No.5 Woodslee Cottages during the war. It was her parents home before that. Her father worked for Brothertons as an engineer. Dot was my neighbour when I first became the ranger at Dibbinsdale. She loved to tell you about her ‘history’ and the local history of Woodslee was a passion with her. It held many memories both bitter and sweet. She was a teenager in the war and a time for many people of very vivid memories. One of her most amusing tales related to the prisoner of war camp that was situated where the present day car park now is. She would daily pass by the fenced and guarded prisoner camp at the end of the drive to Woodslee Cottages where she lived. I don’t think the army who ran the camp really allowed civilians to come that close. 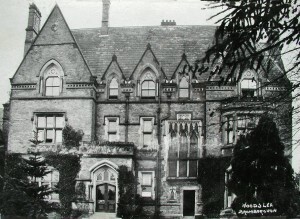 There was a guard house where the present day lodge house now is. There was a barrier to prevent access to the camp on the road. Dot would see the prisoners in the camp on a regular basis. There were German and Italian prisoners there at one time. They lived in wooden huts like pavilions. The main ‘job’ of the prisoners was to form part of a ‘land army’. Because there were so many British men in the forces at war fighting away from home there was a shortage of labour and particularly in food production. The prisoners would go out to farms in the area to work. It was not such a difficult life because as a prisoner you were well fed and escaped any danger of being killed in action. Many prisoners were quite ‘happy’ being out of the war. Dot remembered that one particular German prisoner was very well spoken. He would talk to Dot from his side of the fence. She was probably quite flattered he was ‘chatting her up’. What amused her was that he would ask Dot questions about the area that she probably shouldn’t have answered. In the war there was a worry about ‘spies’ sending home information. The man would ask Dot how you could get to Chester for example. Dot was convinced that the prisoner was escaping camp at night and going into town for recreation- then return back to sleep.